The festive season is full of fun here at Mask HQ, but it’s fair to say we don’t have much time to put our feet up and relax by roaring log fires during December. During Christmas 2016, our team managed 16 bespoke Christmas parties for our clients, with seven events taking place on one jam-packed day! We helped 2,587 guests celebrate the most wonderful time of the year, raising a toast with over 5,000 glasses of prosecco. We made sure every special moment was captured, thanks to our seven photo booths, and everyone was well fed with almost 10,000 seasonal canapés and 2,014 mince pies served at our parties. It wouldn’t be Christmas without a few gifts, either. Back in Santa’s workshop our little elves worked hard on some lovely Christmas hampers for some lucky Mask partners. We sent out 56 scented candles, ready to fill our clients’ homes with the rich scent of Christmas! Creating 16 mesmerising bespoke Christmas parties is no mean feat – we couldn’t have done it without the help of our brilliant team of partners and suppliers. 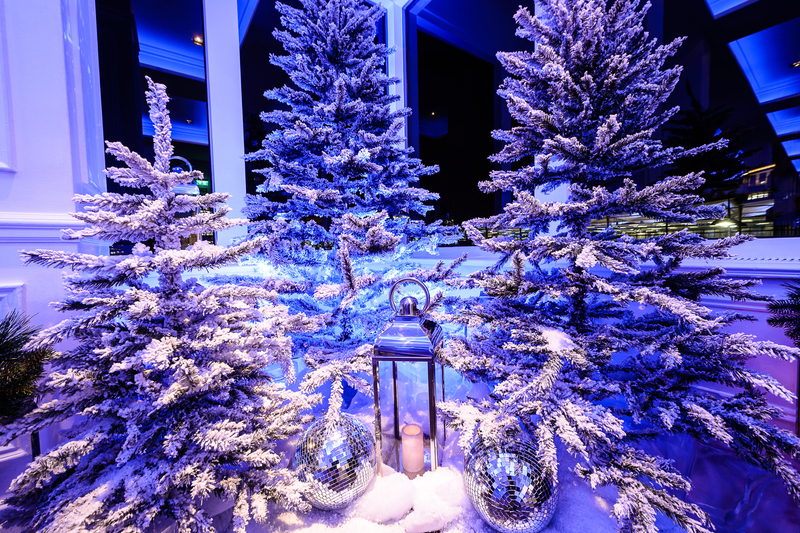 Last Christmas we worked alongside 176 staff, including our event managers, waiting staff, chefs and production teams, who all worked tirelessly behind the scenes to create some Christmas magic for our guests. And as soon as it stopped we got straight to work on ideas for Christmas 2017! Remember, it’s never too early to get into the festive spirit. We’re already working on some incredible bespoke parties for 2017, so if you are thinking of putting on a show-stopper of a festive celebration and want to make sure you grab one of the most popular dates in the lead up to Christmas, get in touch. The elves are ready.